It’s just so incredibly refreshing and filling. I am trying to drink it each morning to speed up metabolism and for prevention of colds. 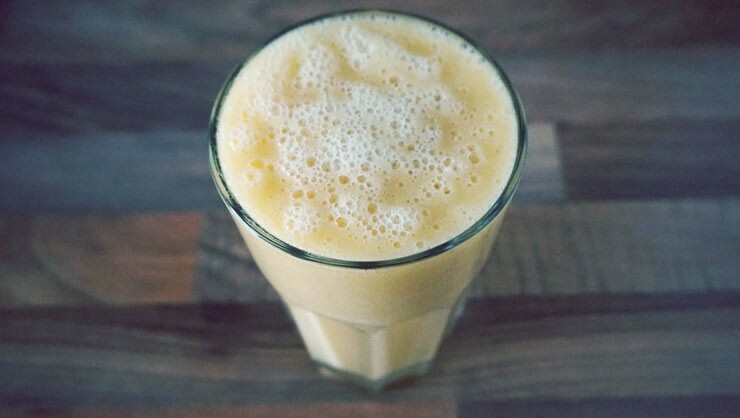 Add juice from squeezed oranges, lemons and grapefruit into a blender. Add cleaned and chopped bananas, apples, pear and ginger and blend until smooth.